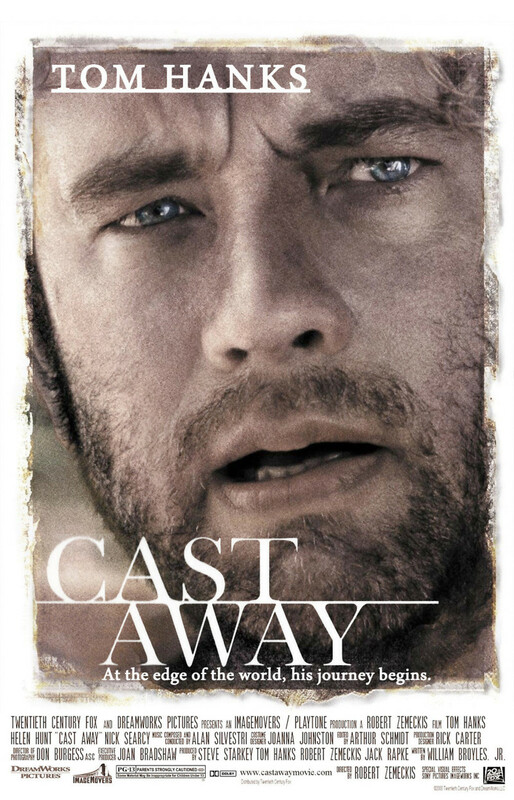 In Cast Away, Tom Hanks plays a FedEx delivery man deeply in love with girlfriend Helen Hunt. On a routine flight to deliver a load of packages, the plane goes down near an island. Tom Hanks is the only survivor, and he takes shelter on the island. Hanks must learn to fend for himself on the island. He is at first abysmal at it, but he eventually learns to build a home and catch and forage his own food. He is on the island for years, making a companion named Wilson out of a volleyball, which was on the plane with him. He makes several attempts at escape and is rescued years later. He finds Hunt, who is now married, and realizes his past life is behind him and he must make a new one.